Update your living room with the two-piece Sensation sectional, tailored in versatile light gray upholstery. 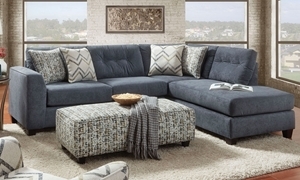 This sectional is handmade in America, featuring a hardwood frame equipped with strong steel springs for stable, supportive seating. Its 86-inch chaise provides plenty of space to curl up or stretch out, while a welted arm, hand-tufted back cushions and dark, tapered block feet offer timeless style. 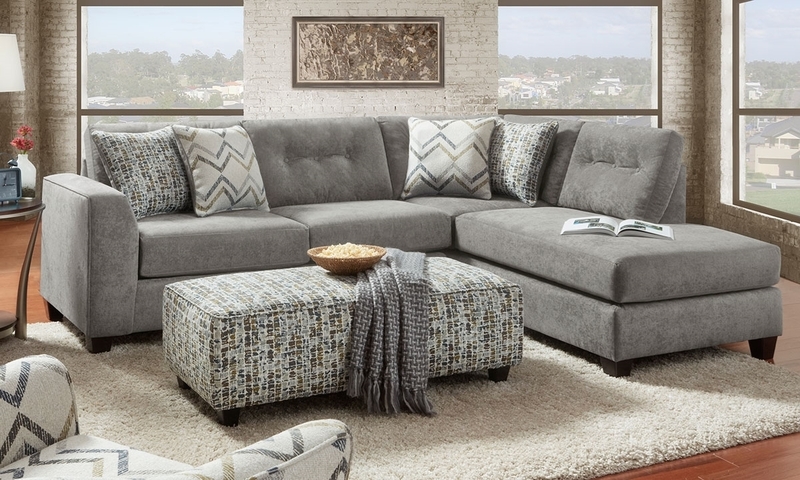 Accentuate or soften the look of this gray sectional with the four included toss pillows, each featuring patterned fabric in complementary tones on one side.